Meet Archie! Archie is an accredited Therapy Dog who works with our school psychologist, Holly Wilson. Archie has undergone intensive training to be suitable to work in a school setting and he wears a special identification coat when at school. 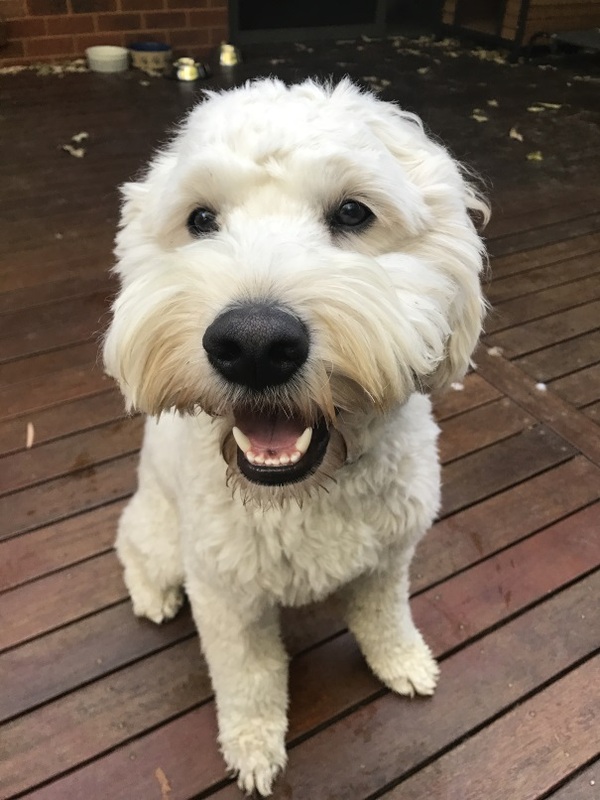 Archie is extremely patient, loving and loyal and he is a great companion to the staff and students at Oatlands Primary School. Archie can join in class activities or sometimes he just sits quietly in the classroom while being patted. Some children are lucky enough to get special individual time with Archie. Archie especially loves it when children read to him or play with him. Research shows that dogs are remarkable at lowering stress and anxiety levels and in doing so often defuse imminent explosions of frustration or negative behaviours. They can be a great way to encourage desirable behaviours and teach children to be calm in the classroom. Research shows that children find the non-judgmental ears of a therapy dog the perfect choice to improve their academic skills, particularly reading. Research also shows the benefits of having therapy dogs working with children who have additional needs.